If you have invested a lot money in a brand new modern garage door, you should aim to look after it to get the most out of the investment. Obviously the door itself should be maintained. The exterior should be painted from time to time and bumps and dents removed. However, you should not ignore the different internal systems that need to work smoothly together, to make sure that the door opens and closes properly. If you are a commercial operation that constantly uses garage doors or a home owner living in the suburbs, then aim to thoroughly check the door itself and all the supporting systems every month. The bulk of this could well be the visual inspections. Check the opening and closing of the door. Also listen for any changes, like increasing vibrations or grating sounds. If you want professional help and guidance in any garage door maintenance task, contact Garage Doors Houston. This will be useful for anyone living in Houston TX. If you are too busy or lack the confidence in performing garage door maintenance on your own , then we will happily undertake this service for you. Every month, all systems will be tested, along with any adjustments or replacement of parts. A very common problem is the wear in the sprockets and gears in garage door openers. The photo eye can go out of alignment. In this regard, we offer 24/7 service for emergencies. Motors and internal circuits can be replaced. Door panels are something that needs routine inspection. A car reversing into the garage door or baseballs smashing into the panels will lead to dents and distortions. Seasonal weather, storms, and heat waves will take their toll on the door. It is not just the external appearance that will be affected. Distortions in the door panels could lead to imbalances and strains on the internal mechanisms raising and lowering the door. If there are any worries or concerns, contact a professional garage door maintenance service provider immediately. Problems could build up and may cause real difficulties later. There are a number of important mechanical systems. Rollers can be either made of steel or nylon. Like any moving component, they are subject to wear. Routine visual inspections would help here, if you notice any damage to the rollers. The hinges are part of the rollers, as they help lock the rollers into the tracks. Dents or dirt into the tracks could also cause problems. The roller system needs regular maintenance. Rollers will also need to be replaced periodically. You will need a board to keep the garage door’s position upright. However, where will you get the replacement parts from? Even if you feel competent enough to do this, it would be a lot better to contact LY Garage Door Repair. To start with, we will professionally secure your garage door by clamping it. We are familiar with all the different makes of the door. 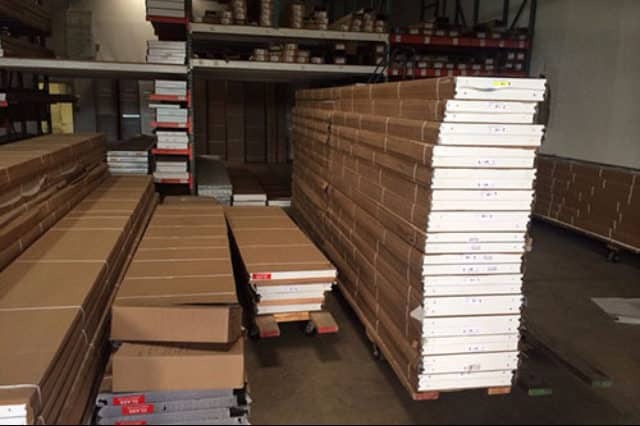 You can give us a description of the door you have by calling us, and we will come along with the correct components. In this case, it would be the rollers and hinges. The system that does all the “heavy lifting” is the drive system and motor. These can be either the chain drive or belt drive. It is here that you use both your eyes and ears. If you notice strange sounds starting to develop or increasing vibrations, then there could be problem with the drive system. 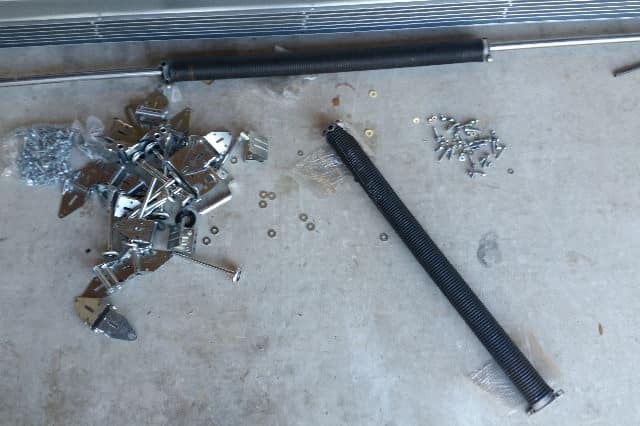 Bolts and components could be coming loose. The drives might be showing signs of wear. You will need an expert to check the system and make any necessary repairs or replacements. 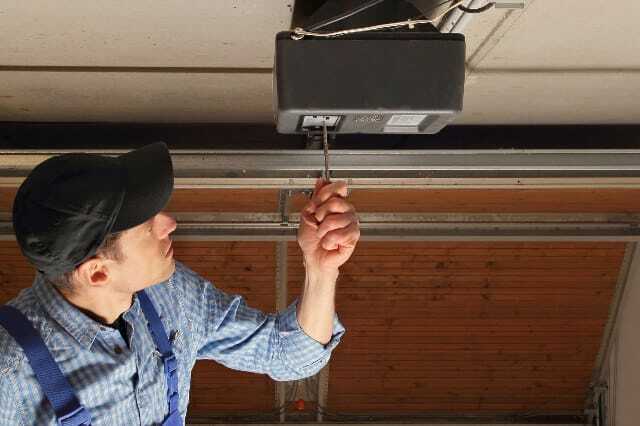 There are three systems that need to be monitored regularly by the garage door maintenance service provider. These are the high tension cables, springs, and the power supply. The high tension cables take the full weight of the door when it is moved. This load will “harden” the steel cables in time. They will become brittle and crack. You may detect problems with the doors’ motion. In this case, it would be better to have experienced technicians to routinely come in replace these cables. The same applies to torsion and extension springs. Full work hardening will take place after 10,000 cycles. This is when the springs will snap. Every time the door goes up and down, a force is applied to the springs. This is a cycle. Depending on usage, a date can be set to replace the springs. For example, if a door is opened 8 times a day, the springs should be replaced every 3 years. For twice a day, this would be every 12 years. Any problems with the mains power supply must be dealt with by trained experts, You should not do this yourself. 13147 W Lake Houston Pkwy.